My wife read this book – an autobiography of an Auschwitz survivor – and recommended it so highly that I had to read it. 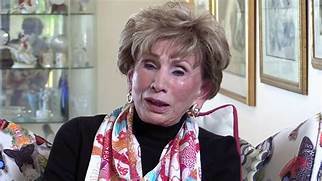 Dr Edith Eger, the author, was born Editke Elefant in Kosice, Slovakia (then part of Hungary) on 29 September 1927. In early 1944, the Nazis occupied Hungary and forced Edith, her two sisters, Magda and Clara, her mother and father into the Kosice ghetto. In May, 1944, when Edith was 16, she, her mother, father, and sister, Magda, were loaded onto cattle cars and sent to Auschwitz, where her mother and father were murdered; Clara, a violinist, is away from home at a concert, and survived the war with a false identity. Edith is made to dance by the infamous Dr Mengele. Together, Edith and Magda endure the terror, famine, forced labour,and extreme hardship of Auschwitz; in late 1944, they are moved by train to Germany where they work as slave labourers in factories. They are moved again to Austria. Of the two thousand prisoners who were forced on a death march to Gunskirchen, the sisters are two of only one hundred who survive. Edith was discovered in a pile of the dead, more dead than alive, by a US soldier in May 1945. The sisters are nursed back to health and travel to Prague, where they are reunited with Clara. They return to Kosice, and find their old house which has been occupied and looted. Edith meets Bela Eger, a wealthy Jew, who has survived the war as an anti-Nazi, and they are married. Many Hungarians feel threatened by the Communist take-over of Hungary and cast about for a safer refuge. Clara emigrates to Australia, Magda chooses the US and Bela has made arrangements to start a business in Israel. At the last moment Edith decides to take her baby daughter to America, and Bela goes, too, first to Brooklyn, then Baltimore and El Paso. They face low wages, poor accommodation and discrimination. Bela finds work as and accountant, and Edith gets her masters and doctorate degrees, becoming a clinical psychologist. She has three children and now lives in La Jolla, California. There are poignant descriptions of Edith’s journey to Hitler’s castle in the Bavarian mountains where she slept in Goebble’s bed, of her return to Auschwitz, and of her counselling sessions, particularly with soldiers suffering from post traumatic stress disorder. This is a timeless book, well-written, that speaks constructively about life, death, humanity and uncertainty.